Unusually clear reproduction is claimed for a new type of dictating machine invented in Germany. In this device the fluctuations of a speaker’s voice, conveyed electrically to electromagnets, leave a moving steel wire traveling through them more or less strongly magnetized according to the intensity of the voice at each instant. To play back the record, the wire is passed through a similar machine where the reverse process takes place and the voice is heard in a pair of headphones. The wire may then be run through a demagnetizer and used again. Wax records are dispensed with, since the wire takes their place. The wire is made of an alloy the nature of which the inventor is keeping secret, but upon which, he says, the success of his device depends. The machine is shown above. This should be in “Origins” also. It is the beginning of all digital transmission of data. this is the evolution of the recording and backup systems used for storing dictations for further dactilography in offices, that began with the phonograph and the wax cylinder in early 1900s. An Edison Labs product. This is most definitely not an origin of digital recording. 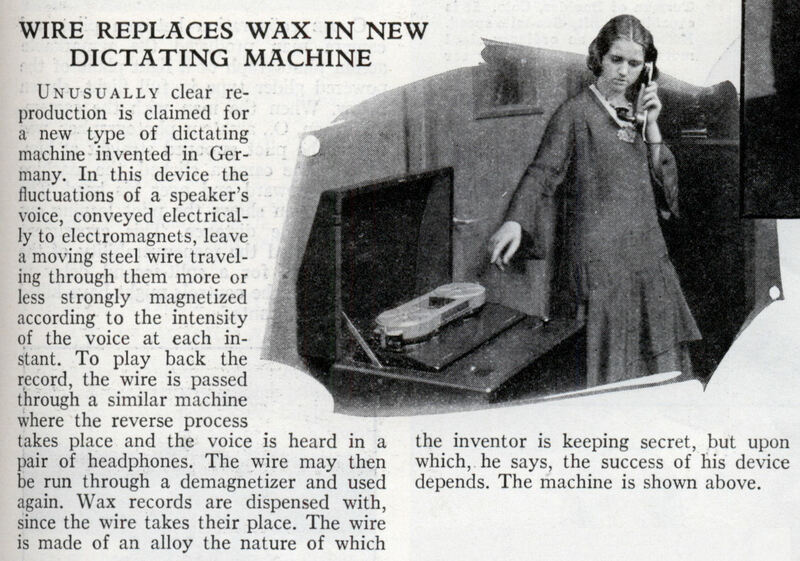 Back then the tape recorder, just like we know it today, had already been invented. 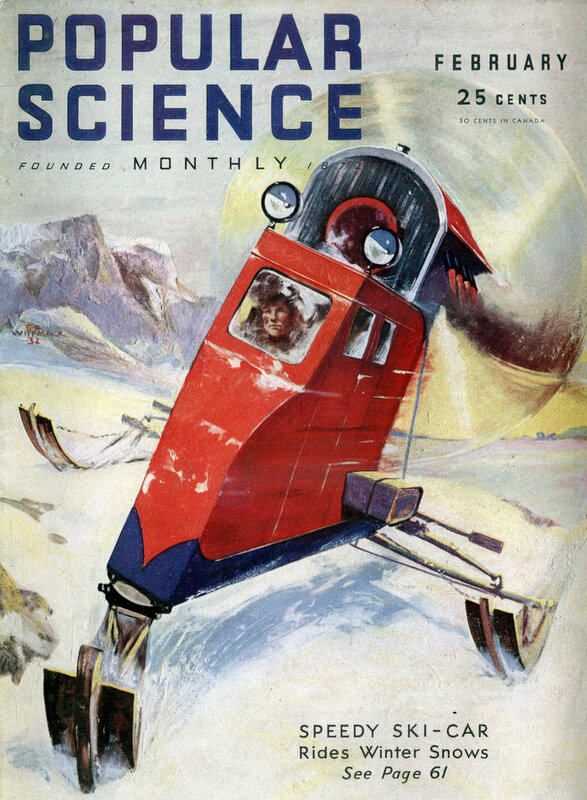 (The patent is dated at 1928) It started to work really well in 1935. Wire recorders always had their problems. The wire tended to turn so the magneticed sides of the wire never were where they were supposed to be. I’m fairly sure the wire recorder predates the tape recorder. Also.. in the 1930s the BBC was surprised at the excellent audio quality of Hitler’s speaches in various cities. Turns out it was because of the advanced German wire recorders.